Make the message easy to understand—tell a story. We wrote a press release that told a story about our research and highlighted key points in non-technical language and without jargon. Even though Boston University generally does not issue press releases about scientific papers, our summary helped reporters quickly understand our work, its significance, and potential angles that could interest readers or listeners. Publish on-line. To generate publicity within the Boston University community, we wrote an article for BU Research, using the press release as a starting point. This article further widened the audience who will hear about the research, with relatively little additional effort on our part. Leverage institutional networks. The co-authors of our paper reached out to their universities and media contacts, sharing our press release. The paper received coverage in institutional publications and websites of Boston University, University of Maine, and the Carnegie Museum of Natural History. 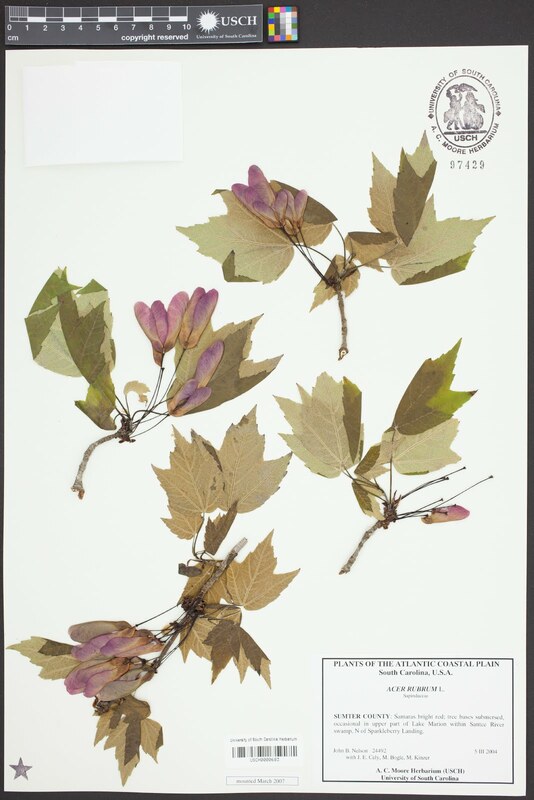 In a study recently published in a Special Issue of Applications in Plants Sciences, we found that simple annotations of plant specimens are as effective as more detailed ones for phenological research. With climate change increasingly effecting plants and animals around the world, phenology is an important metric for us to readily monitor the extent to which organisms are responding. Plant specimens are a critical resource for this as they record the phenological state of a plant at a specific place and time. Each specimen therefore provides evidence of such events as flowering, leaf out, and even dormancy. on where and when collected. However, is it necessary to record the fine-scale phenology of a specimen, such as flower buds, early flowers, or peak flowers? Or, is simply noting “flowering” enough to see patterns of change? 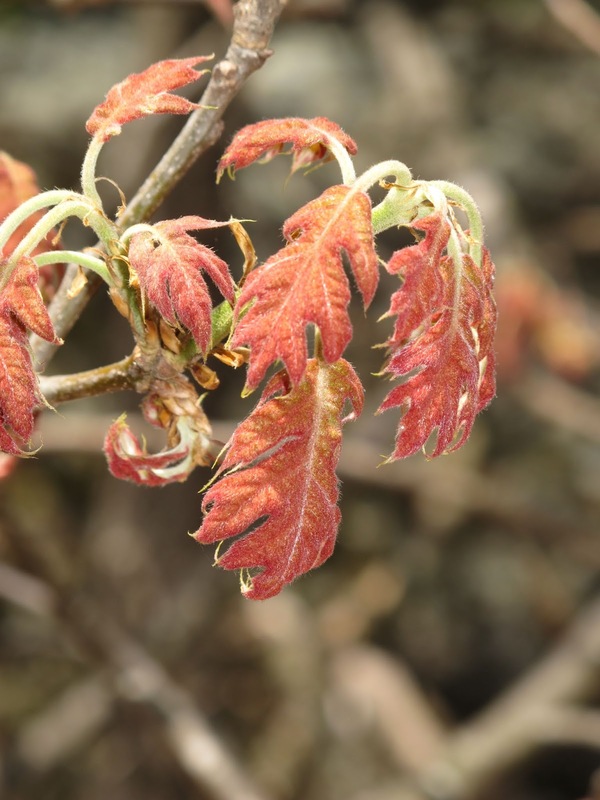 In researching this question, we found that the simpler approach of noting “flowering” was sufficient to see that the phenology of our study species, the red maple, has been advancing by about 2 days for each one degree F of warming temperature. These are the same results we found with a more detailed approached. We evaluated specimens from across eastern North America. Detailed phenological information may be necessary for certain research, though our study demonstrates that in many cases a simpler approach is just as effective. This finding is especially important as scientists work with members of the public, citizen scientists, to monitor phenology and annotate specimens. It is much easier to teach an armchair botanist to recognize flowering or non-flowering as opposed to finer phenological details, and now we know that the results will not be comprised with this approach. 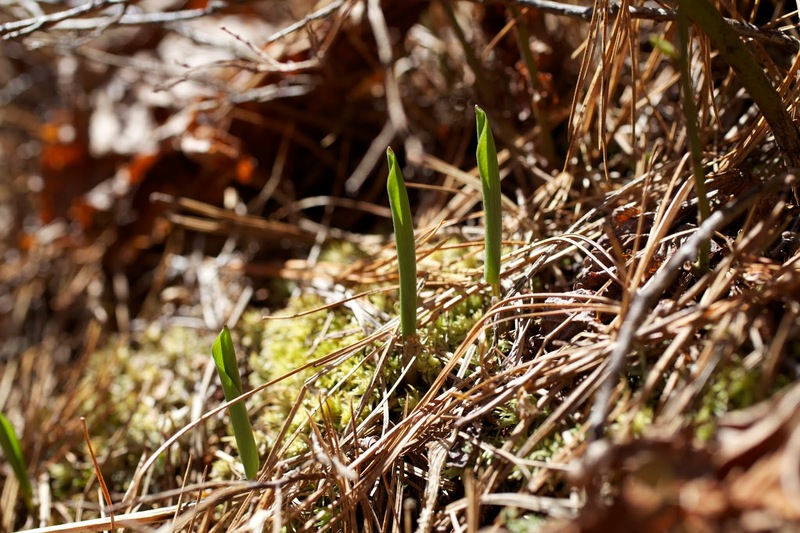 Trails-as-transects: phenology monitoring across heterogenous microclimates in Acadia National Park, Maine was published last week in the journal Ecosphere. Caitlin hiked Cadillac, Pemetic, and Sargent Mountains repeatedly each spring to collect local leaf out and flowering phenology data across the environmental gradients in Acadia National Park. 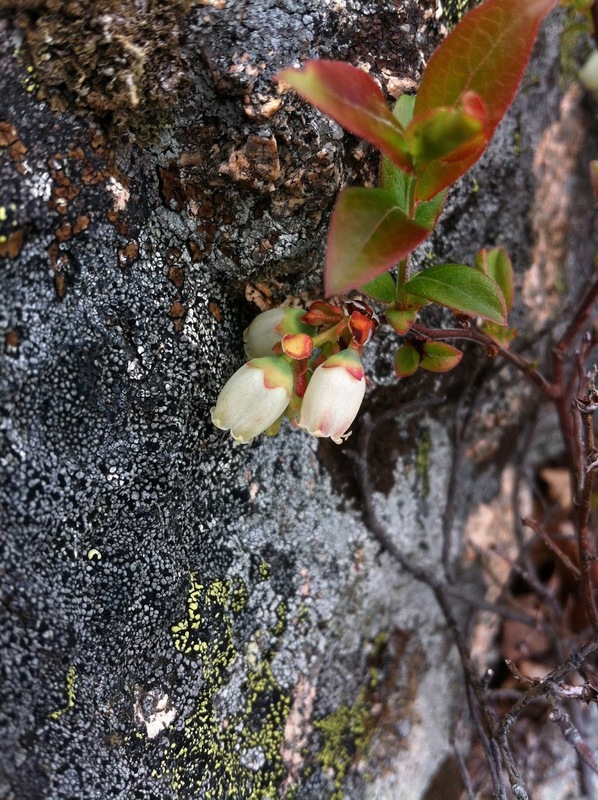 While it might seem like her dissertation field work was a walk in the park, she and her field assistants gathered over 20,000 phenology observations and successfully estimated shifts in leaf out and flowering (in days/°C) for nine common plant species. 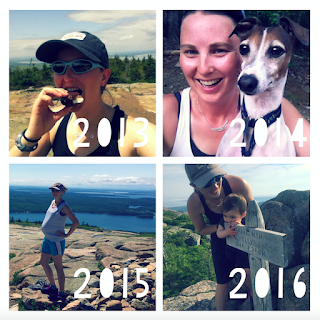 This work supports Acadia National Park’s efforts to identify species vulnerable to climate change and sets the stage for future citizen science phenology programming on the hiking trails. Read the paper here. Caitlin also published a long post about the hiking fieldwork, including calculations of how long it really took to hike each mountain transect, at the PLoS Ecology Community blog. 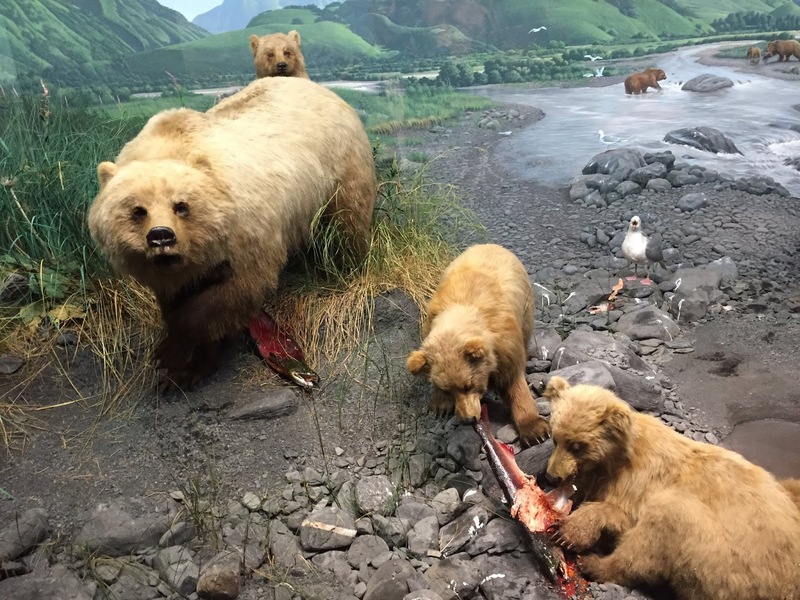 Museum dioramas can depict dramatic natural scenes that would be difficult or impossible to see in the wild. 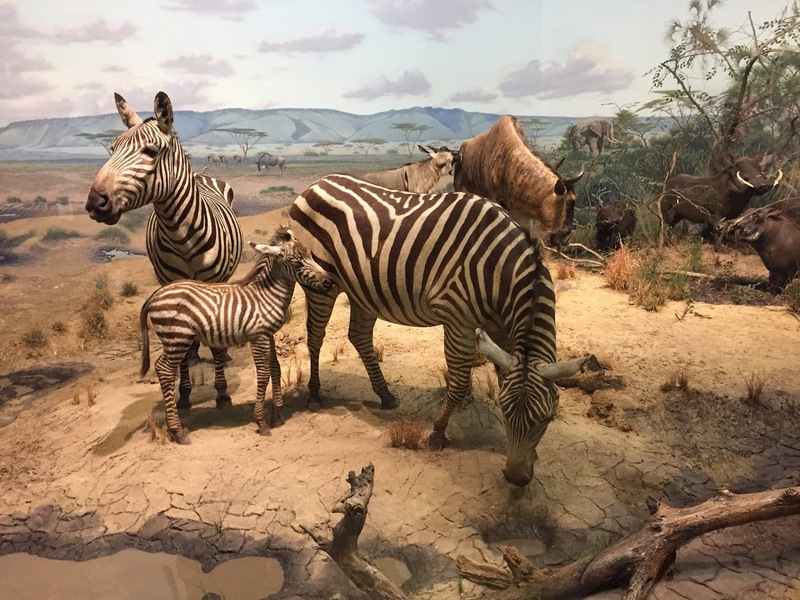 Dioramas at the Carnegie Museum of Natural History in Pittsburgh, for example, allow visitors to see a range of species and biological communities—all in one place in the middle of winter. Dioramas clearly provide an exciting way to experience nature. 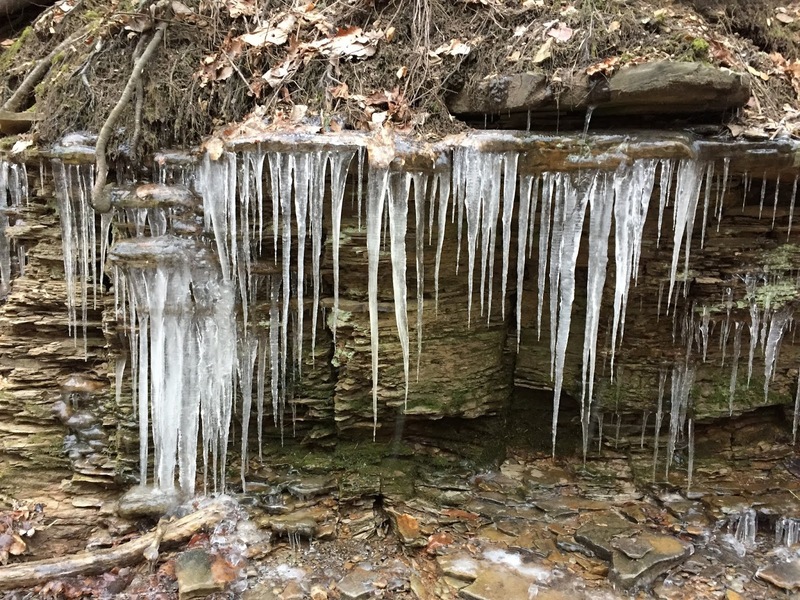 On the other hand, these striking icicles hanging off of exposed shale along the Trillium Trail Nature reserve outside of Pittsburgh provide an unexpected surprise for those who keep their eyes open for unfiltered reality. 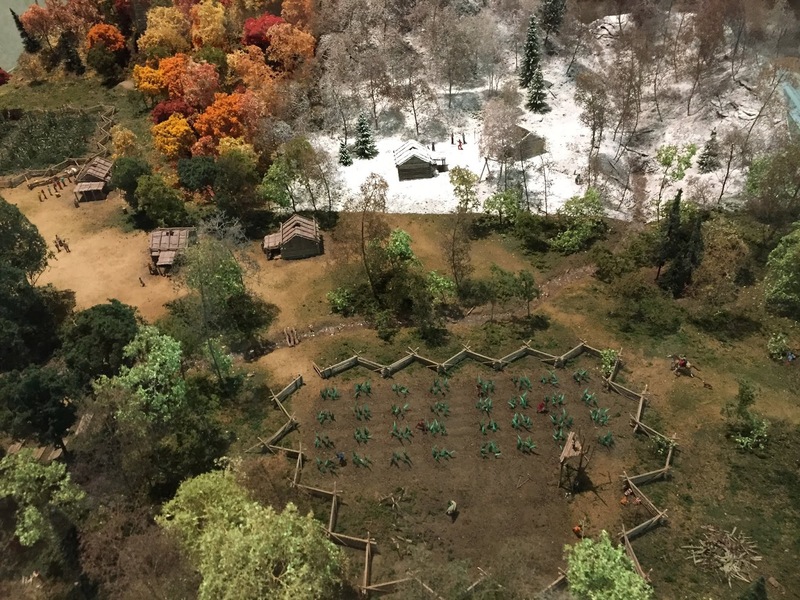 Museum dioramas provide dramatic scenes and learning opportunities that are tough to get otherwise, but don't forget there are dramatic scenes and learning opportunities just outside, too, even in the cold of winter. "You must live in the present, launch yourself on every wave, find your eternity in each moment. Fools stand on their island opportunities and look toward another land. There is no other land; there is no other life but this..."
On a recent visit to Thailand, I got the chance to explore the karst islands of Ao Phang Nga National Park. Karst islands are formed by tectonic activity lifting limestone out of the sea, followed by chemical and physical weathering that creates a highly varied landscape. 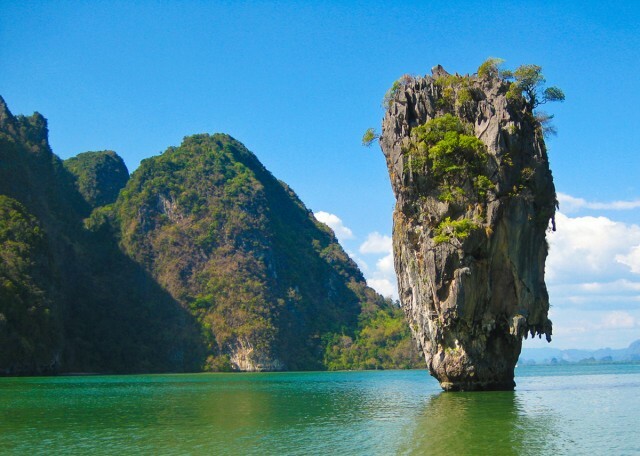 The most famous karst in Phang Nga Bay is Ko Tapu, or James Bond Island, which was featured in The Man with the Golden Gun. Photo from TAT. A single karst island can contain a broad range of microclimates, geological features (such as caves and cliffs), and soil properties. In Phang Nga Bay, many karst islands are located next to native mangrove forests, further expanding the range of local habitat types, and wildlife that visit karsts. A broad karst island in Phang Nga Bay abutted by mangroves. Photo by Nicko Margolies. 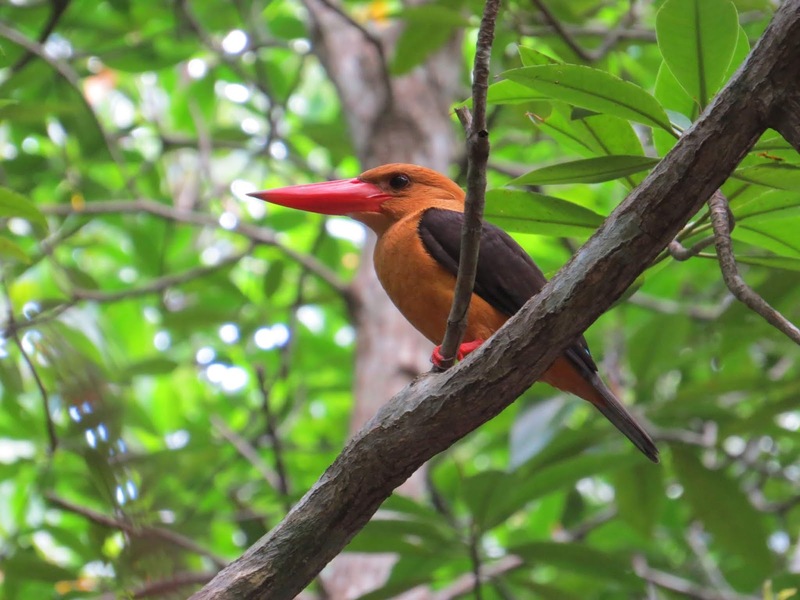 Spotting this Brown-winged Kingfisher in a mangrove in Phang Nga Bay was a highlight! Photo by Sam Roberts. The varied landscapes of karsts are reflected by a striking amount of biodiversity and endemism. Many karst species are highly specialized, such as plants that grow on thin, alkaline soils, cave- and tree-dwelling bats, and invertebrates that either depend on bat guano for food, or in some cases are completely restricted to life on guano piles! Steep, rocky surfaces on karst islands can support succulents, while just meters away different soil and water conditions are ideal for lush broad-leaved trees. Photo by Nicko Margolies. In addition to many plants and insects, our group observed bats, macaques, and even Oriental Pied Hornbills on the karst islands of Thailand. Large fruit bats that roost in the trees atop a steep karst island in Phang Nga Bay can occasionally be seen leaving the island at dusk in search of food. This individual was filmed at Mu Ko Similan National Park (northwest of Phang Nga Bay), preparing to roost after a night out foraging. Video by Sam Roberts. To learn more about the value of karsts as biodiversity hotspots in Southeast Asia, as well as threats to karsts from human activities like resource extraction and development, check out this article by Clements et al. (2006) in Bioscience. Evergreens keep gardens beautiful during the cold of winter. Their needles, leaves, and berries provide color and a striking contrast to the snow. 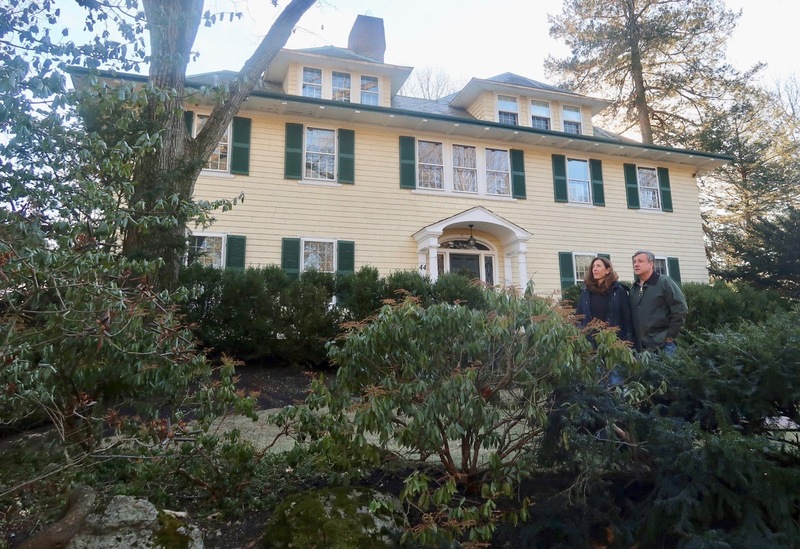 As described in a recent article in the Newton Tab, throughout the year, green walls of evergreen trees reduce noise and offer privacy in Boston’s suburban communities. 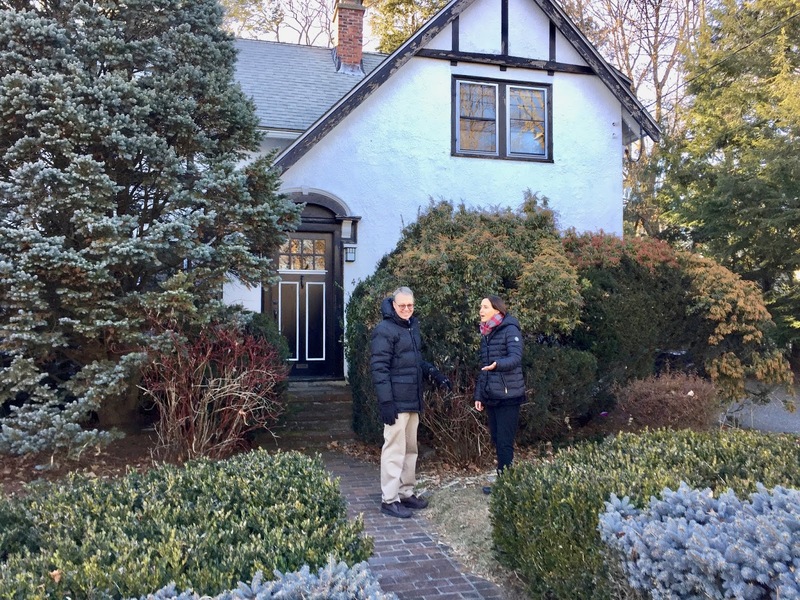 Susan and Steve Kern in front of their Newton home. In the Ledges neighborhood of Newton, an abundance of evergreens combines effectively with natural puddingstone outcrops. Between Newton Center and Crystal Lake, Jan Shifren and John Harrington enjoy a garden designed 27 years ago by Jan’s mother. Jan Shifren and John Harrington enjoy their evergreens. We should also take a moment (or many) to appreciate the color, function, and joy that evergreens bring to our gardens, especially when it is wintery cold outside and other plants have retreated for the season. A man can never say of any landscape that he has exhausted it. —Thoreau in his Journal. 1850. 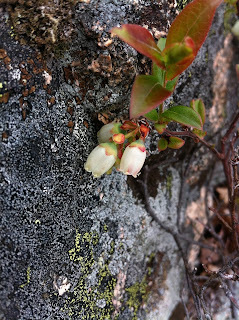 Many spring wildflowers in New England flower and leaf out in April before the trees start leafing out. 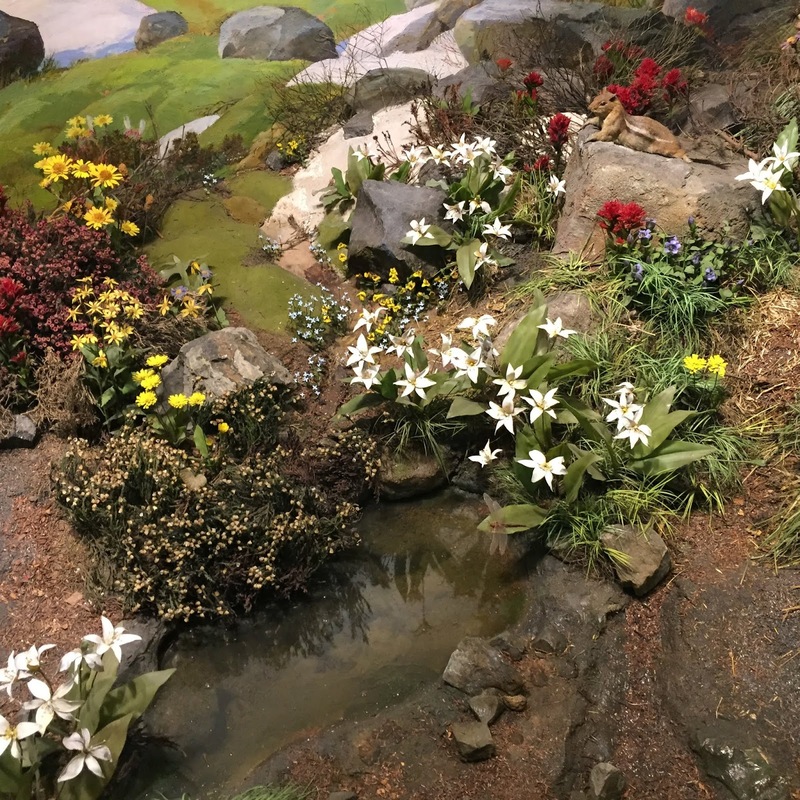 This period of a few weeks of full sunlight is crucial for the wildflowers — the high light environment provides the energy for growth, flowering, and fruit production. 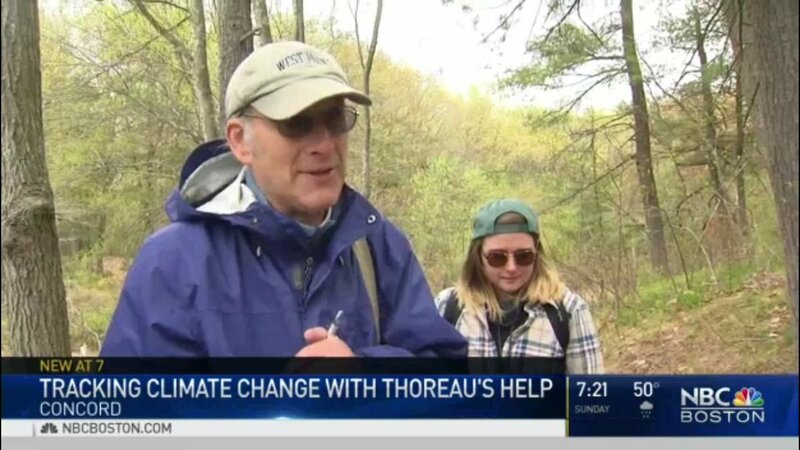 In the past, our lab has shown that spring flowering and leaf out for wildflowers and trees are occurring earlier now than in Thoreau’s time. In a recent paper, we’ve compared the rate of change in tree leaf out (days/°C) to the rate of change in wildflower flowering (days/°C). To our surprise, we found that trees are more responsive to a warming climate than wildflowers, with trees leafing out 2 weeks earlier now than in the 1850s when Henry David Thoreau was recording phenology, whereas wildflowers have only shifted by one week earlier. The result is that wildflowers now have one week less of full sunlight in the spring before the tree produce their leaves. We asked our colleague Mason Heberling how this might affect the energy budget of these spring wildflowers. 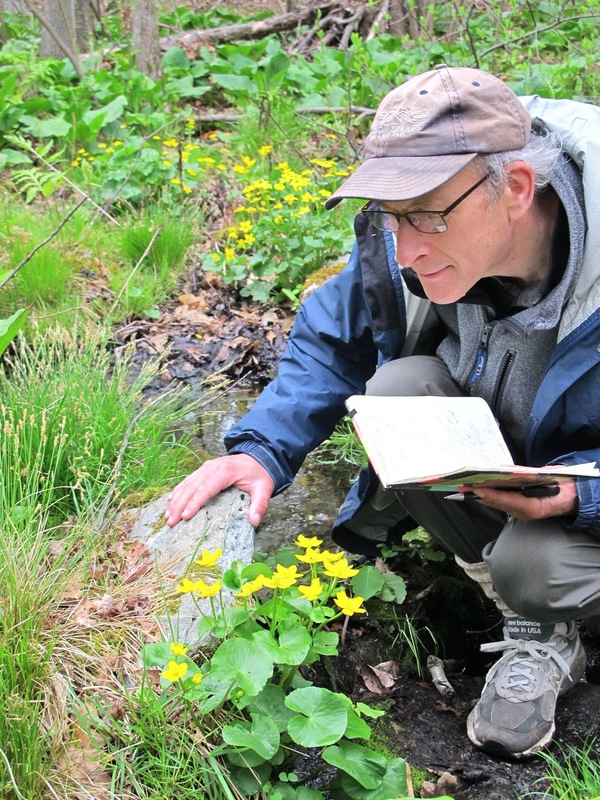 Mason’s models show that the spring energy budgets for many spring wildflowers, such as Jack-in-the-pulpit and wild ginger, have already declined from Thoreau’s time until now by as much as 26%, with as much as 48% decline in energy budget projected by the end of this century. This loss of energy reserves means that many wildflower species may not have enough energy to mature their fruits and produce flower buds for next year. Further, many of these species will have a reduced chance of growing and surviving in these habitats in coming decades. Read the full paper in Ecology Letters.